There’s nothing like a smooth, comfortable flight even if it is a quick, non-stop domestic one. It can break or make your first day arriving at any destination. Just like my recent trip from Vienna to Luxembourg; it was a dream, but too short! 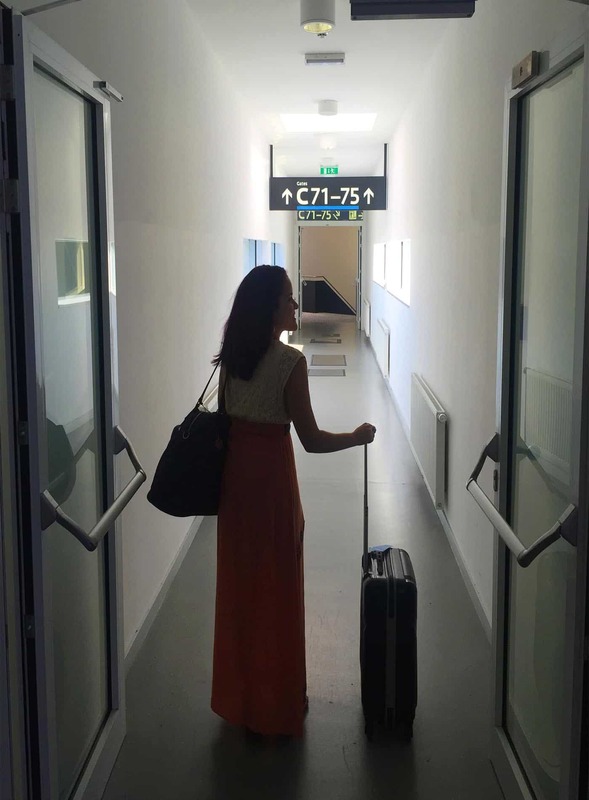 Here’s my experience traveling with Luxair airlines from Vienna to Luxembourg. Luxair is a small airline out of Luxembourg. 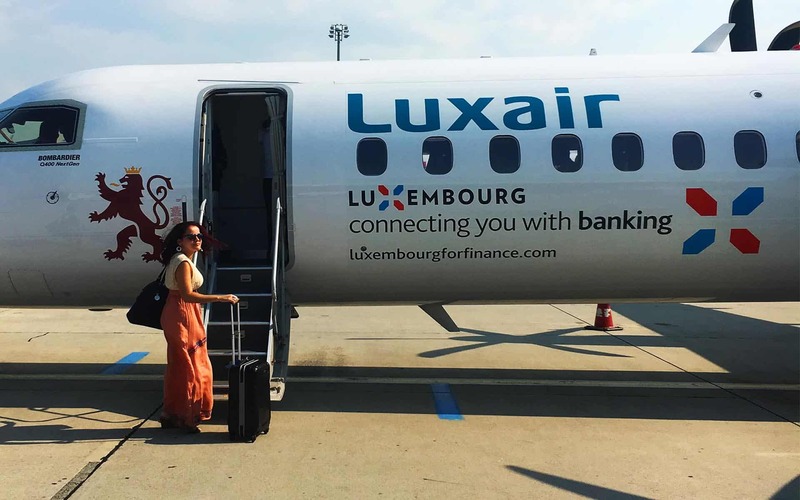 In addition to providing charter services, Luxair has scheduled passenger flights to about 40 destinations in Europe and Africa. 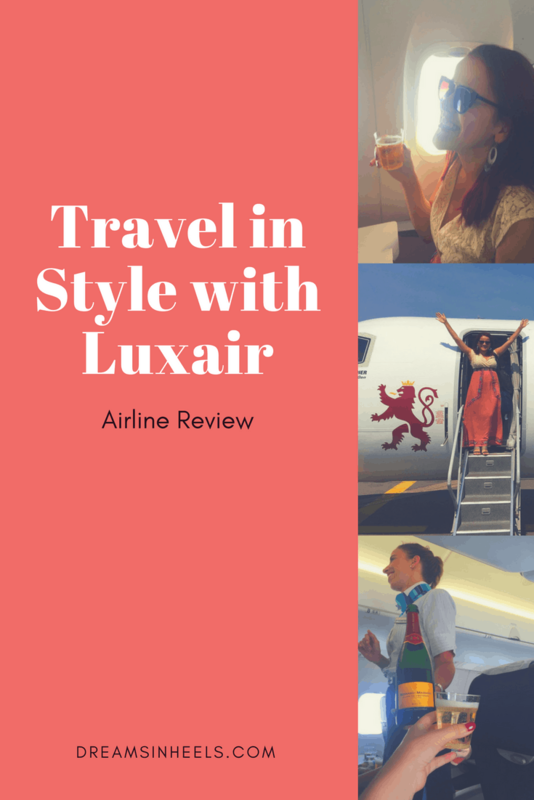 What to Expect when traveling with Luxair? As I boarded the plane, the friendliest flight attendants greeted me. My flight was on economy class but I felt like I was on business class. I travel a lot around Europe, but this flight exceeded my expectations. The service on board was polished, with an efficient cabin and cockpit crew, a very comfortable flight, with in-flight entertainment. Plus, the check-in was quick and pleasant at the airport (when was the last time you thought that at the airport?). Really, it was a total breeze. Recommended Reading: Luxembourg in Europe is not to be missed: Top Things to do in Luxembourg City in one day! On these flights, you can choose between a vegetarian and non-vegetarian gourmet sandwich. It was very good, made fresh on a baguette. They also have an open bar. They serve alcoholic and non-alcoholic drinks free of charge, which is very rare these days. The best part of my experience was that they even offer local Luxembourgish sparkling wines. Bubbly time! What a great way to try local products before your arrival. Don’t be afraid to try more than one. 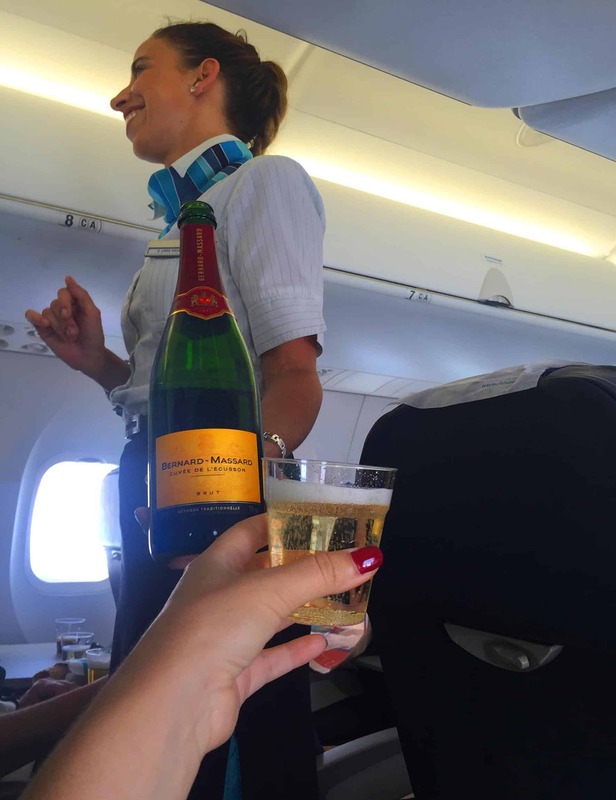 They kept passing, asking if you would like to taste the other sparkling wine (they had two options on my flight). And I did! 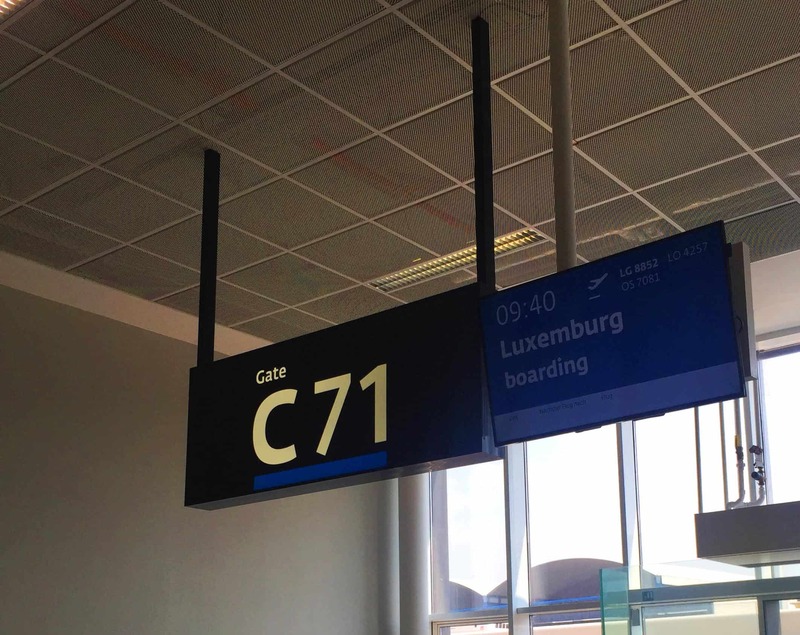 Overall, I really loved their service and can highly recommend this airline if you are flying in or out of Luxembourg. I feel that Luxair provides great value for your money. I was very happy to fly with them, for a fun weekend discovering the hidden gems of Luxembourg. 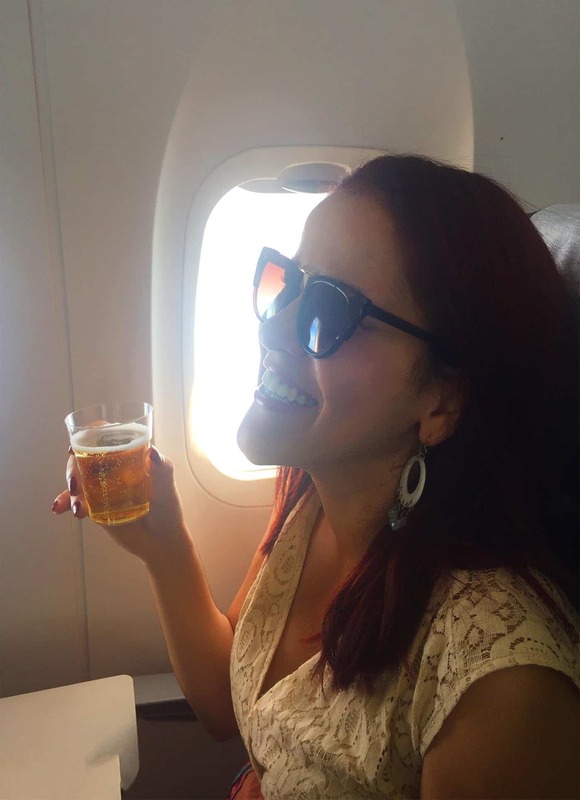 My experience is exactly as the name sounds…Luxury in the Air! 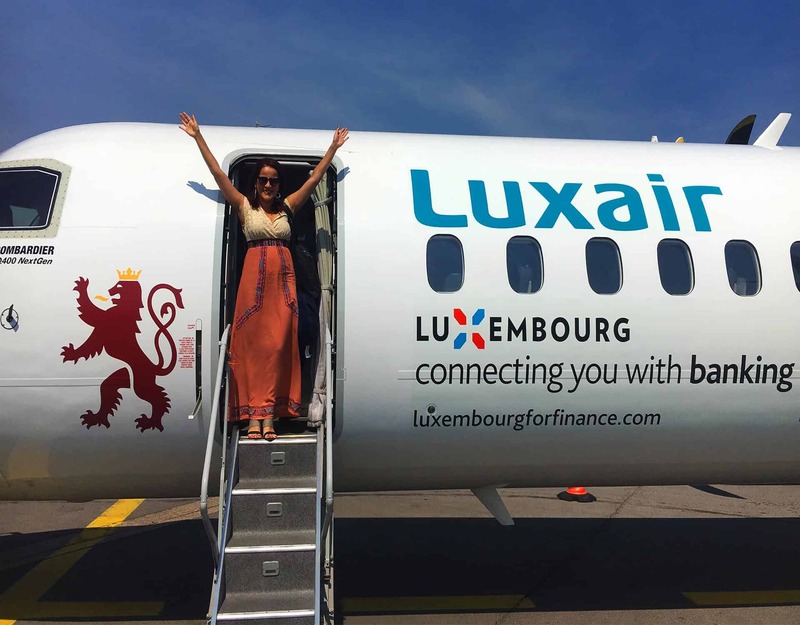 Thank you, Luxair! 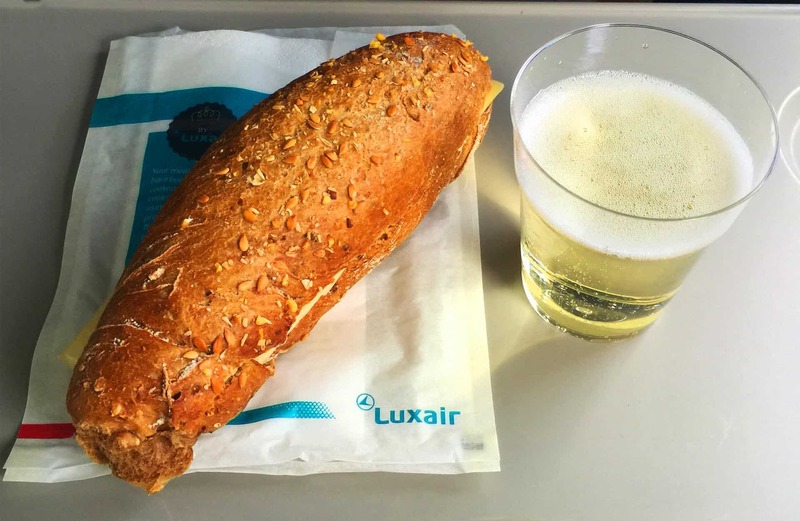 Have you ever flown with Luxair airlines? Share your experience with me.